Built in 1943, by Levingston Shipbuilding of Orange, Texas (hull #285) as the ATR-48 for the United States Navy. The tug was planned, and, approved as fleet tug AT-126. However, prior to her completion. The United States Navy redesignated the tug as the Rescue Tug ATR-48. She was delivered to the United States Navy August 31st, 1943. Although, the ATR-48 never saw active service for the U.S. Navy. In 1943, the tug was transferred under the Lend-Lease Act to the United Kingdom. Where she was commissioned HMS Mindful (W-135). In 1944, she was returned to the United States Navy. Where the tug was redesignated as the ATA-126. In 1947, the tug was acquired by the Moran Towing Company of New York, New York. Where she was renamed as the Gay Moran. In 1949, she was acquired by the Shipowners and Merchants Towboat Company of San Francisco, California. A precursor to Crowley Marine Services of San Francisco, California. Where she was renamed as the Sea Lion. 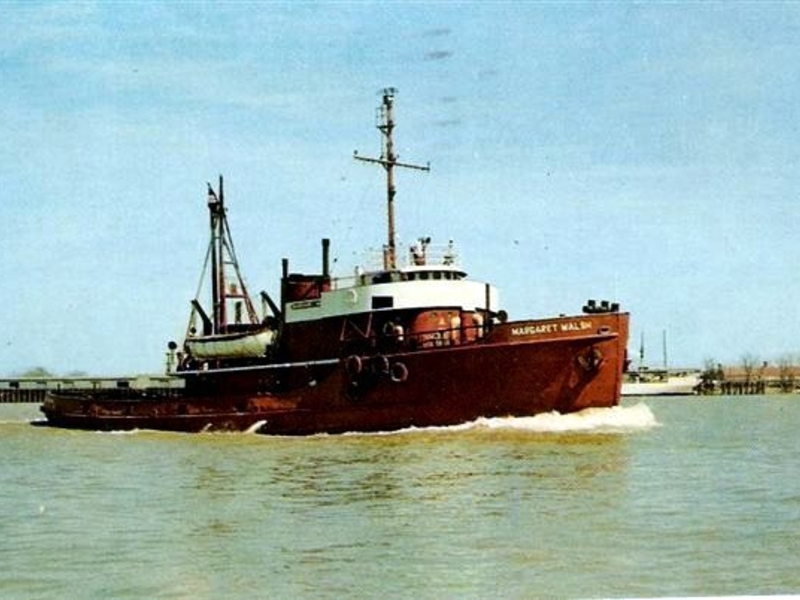 In 1955, the tug was acquired by the Gulf Canal Lines Incorporated of Houston, Texas. Where she was renamed as the Harry J. Mosser. In 1957, she was acquired by the Mobile Towing and Wrecking Company of Mobile, Alabama. Where she was renamed as the Margaret Walsh. In 1966, she was acquired by the Foss Maritime Company of Seattle, Washington. Where she was renamed as the Margaret Foss. 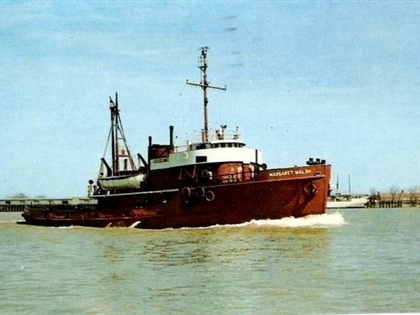 In 1969, the tug was acquired by the Cementos California Company Ensenada, Mexico. Where she was reflagged in Mexico. And, renamed as the C.C. 7. The tug is no longer listed in documentation. Her current, and, or, final disposition is unknown. Powered by a single, diesel electric, General Motors, two stroke, single acting, twelve cylinder engine. She was a single screw tug rated at 1,800 horsepower. United States Navy, British Royal Navy, United States Navy, Moran Towing Co., Shipowners and Merchants Towboat Co. (Crowley Marine Services), Gulf Canal Lines Inc., Mobile Towing and Wrecking Co., Foss Launch and Tug Co., Cementos California Co.